Nightflyers is a sci-fi show released on Netflix in several countries. The series is based on a short story by Game of Thrones’ author George R. R. Martin and was originally aired on SyFy in the United States. 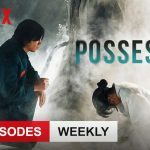 Season 1 will be out on Netflix from February 2019. Nightflyers is a new Sci-Fi Horror show on Netflix. 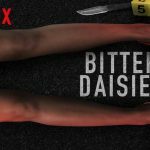 The show originally aired on the SyFy channel in the US, but will undoubtedly reach a much larger audience via this Netflix release. The plot is based on a story by George R. R. Martin. Yes, the author of Game of Thrones is taking all the blood and violence to space. Other than that, Nightflyers really isn’t similar to Game of Thrones. Well, except maybe for the fact that you need to become familiar with a new world and huge cast rather quickly. 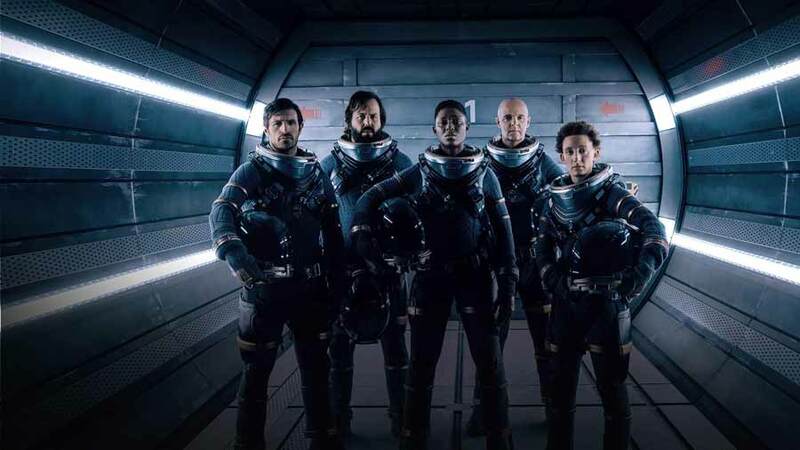 However, Nightflyers has a pretty diverse cast which does help. And this diversity makes perfect sense since the world is basically ending and obviously we need to all work together to ensure a future for human beings. The story of Nightflyers begins with us [human beings] searching for a new planet to call home. This isn’t exactly something new since it was basically the plot of Battlestar Galactica as well. Also, it should come as no surprise that we managed to ruin Earth so much that we can no longer stay here. However, this isn’t exactly something this new show bothers with telling us explicitly, which is a damn shame. When watching the first episode of Nightflyers, you suddenly realize just how brilliant those opening plot explaining credits of Star Wars are! I mean, really, setting the stage for the audience should be storytelling 101 and this show fails miserably. Honestly, the story in Nightflyers is a grueling mess. 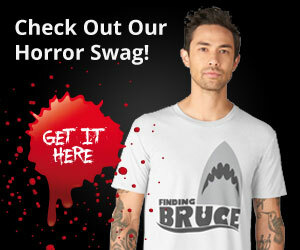 I personally love horror and sci-fi, but please, take the time to tell me where we are and why. Instead of focusing on getting to know the characters, you’ll end up trying to just make sense of what the hell is going on. This also results in me not really caring about who gets hurt, since I still have no idea who all these characters are. Basically, this was my thought through the first half of episode one whenever someone got hurt or killed. Fortunately, it does get better, but within the first two episodes it still doesn’t actually become a good show. It feels like being trapped in an escape room, where you need to figure out what’s going on. To put it plainly, make sure you place your phone out of reach when watching Nightflyers. Otherwise, you’ll have no idea what’s going on and why. Nightflyers was actually created by SyFy and Netflix with the intention of showing it on SyFy first and then release it on Netflix. However, I doubt the plan was to literally dump season 1 over the course of two weeks in December. The 10 episodes of Season 1 were aired from Sunday through Thursday and that was it. 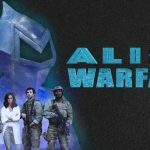 Officially, SyFy called it a “fan-forward viewing experience” but it really didn’t feel like fan consideration was at the forefront of this plan. 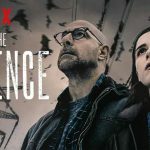 One possible reason could be bad feedback from test screenings which resulted in the series being aired quickly so it could move on to the horror sci-fi loving audience of Netflix. Early on, Nightflyers has been described as an Alien and Event Horizon hybrid of sorts. Based on the first two episodes alone, the Event Horizon comparison is obvious and understandable. Other than that, I was also reminded of elements from Black Mirror which is also 100% in line with the horror sci-fi genre. Honestly, I think Nightflyers can find a pretty big audience on Netflix. However, many will also watch an episode or two and give up on it. Personally, I’m still on the fence but I will definitely give it more time before giving up on it. Mostly due to the interesting cast! The title Nightflyers refers to those onboard the spaceship called “The Nightflyer”, which is searching for a new planet to call home. If you’ve checked out the Netflix movie Close, starring Noomi Rapace, then you should recognize the lead actor in Nightflyers. He’s portrayed by Irish actor Eoin Macken, who leads the story in this new George R. R. Martin world. Eoin Macken speaks with an American accent (mostly, anyway) while everyone else has been asked to use their natural dialect while speaking English. Including the amazing Australian actor Angus Sampson, who you know from the Insidious movies. He is one of the best things in Nightflyers – even if he is completely psychotic in the opening scene! Because yes, we do start with the end and then go back without any kind of explanation. After all, this is the best way to create absolute confusion while also making you intrigued. Also, we get Sam Strike in one of the most interesting roles as Thale. The character “Thale” is a telepathic genius feared by everyone. And honestly, you can’t blame them since Sam Strike is pretty brilliant as this mean SOB. If you’ve watched the Texas Chainsaw Massacre prequel Leatherface, then you’ll recognize him from that. He played the lead! Obviously, the entire season 1 of Nigthflyers will be released in one swoop on Netflix. And unlike the strange release on the SyFy channel, it does actually make sense, when it happens on Netflix. Whether the first episode will be enough for you to continue will probably be the big question. Just know that once you get to episode 2, you will be able to understand what’s going on a lot better. In that sense, it really did remind me of Game of Thrones which I gave up on until after Season 1 had finished airing. Then I binge-watched the entire first season and have been hooked on it ever since. It is quite possible that Nightflyers could have that same impact so I’m not ready to give up on it just yet. If you love the Horror Sci-Fi hybrid genre, then you really should give Nightflyers a chance. Especially if you actually know this George R. R. Martin story, which I did not. I get the feeling it would be a huge advantage to have a bit more of a background story ahead of watching it. 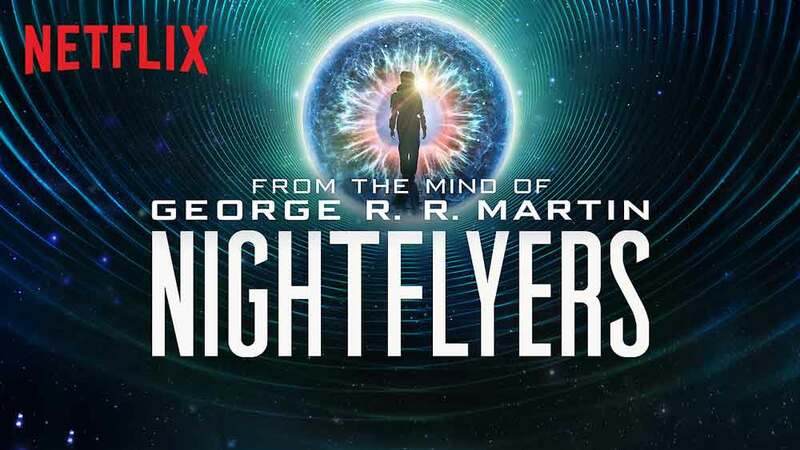 Nightflyers is released on Netflix globally outside the US on February 1, 2019. Based on George R. R. Martin’s novella. Set in the future on the eve of Earth’s destruction, a crew of explorers journey on the most advanced ship in the galaxy, The Nightflyer, to intercept a mysterious alien spacecraft that might hold the key to their survival. As the crew nears their destination, they discover that the ship’s artificial intelligence and never-seen captain may be steering them into deadly and unspeakable horrors deep in the dark reaches of space.